Jewish immigrant bankers helped shape the mass migration of Jews from Eastern Europe and the development of 20th century American finance. Entrepreneurial Jewish immigrants formed small banks to facilitate purchasing passage to America. Their innovative credit mechanisms gave immigrant Jews, who could offer no collateral, access to basic financial services. They encouraged immigrants to invest in new homes, contributing to the immigrants’ economic success and the expanding U.S. economy. 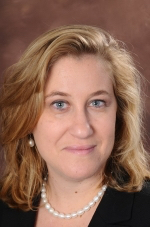 Dr. Rebecca Kobrin is the Knapp Associate Professor of American Jewish History at Columbia University. Her book Jewish Bialystok and Its Diaspora (2010) was a National Jewish Book finalist. She is editor and author of multiple books on Jewish history and its impact on American capitalism. Her next book, Credit to the Nation: Jewish Immigrant Bankers and American Finance, 1870-1914, will be published by Harvard University Press in 2019. A reception and book signing will follow the lecture.